7.30pm – 10pm for five weeks. €75 for unwaged, students or OAPs. 7.30pm – 10pm for six weeks. Led by Prajnagita & Sadayasihi. Buddhism is a path of practice and spiritual development leading to Insight into the true nature of life, and increasingly people in Dublin and Ireland are curious to learn about Buddhism. Buddhist practices are means of changing oneself in order to develop the qualities of awareness, kindness, and wisdom. The experience developed within the Buddhist tradition over thousands of years has created an incomparable resource for all those who wish to follow a path – a path which ultimately culminates in Enlightenment or Buddhahood; the state of complete freedom from any spiritual, emotional or mental restrictions or limitations. Because Buddhism does not include the idea of worshipping a creator God, some people do not see it as a religion in the normal, Western sense. The basic tenets of Buddhist teaching are straightforward and practical: nothing is fixed or permanent; actions have consequences; change is possible. Thus Buddhism addresses itself to all people, irrespective of race, nationality, or gender. It teaches practical methods (such as meditation) which enable people to realise and utilise its teachings in order to transform their experience, to be fully responsible for their lives and to develop the qualities of Wisdom and Compassion. There are around 350 million Buddhists and a growing number of them are Westerners. They follow many different forms of Buddhism, but all traditions are characterised by non-violence, lack of dogma, tolerance of differences, and, usually, by the practise of meditation. The best way to learn more about Buddhism is to come to one of our courses. It’s said that Buddhism is ‘caught rather than taught’, meaning that it’s easier pick up Buddhism in discussion with others and through seeing people live it out than from books or online. Course details are at the top of this page in the left panel. Below on this page is more information about the core principles of Buddhism. You can also see our two videos (left) for more about how Buddhism is practiced in the Dublin Buddhist Centre. 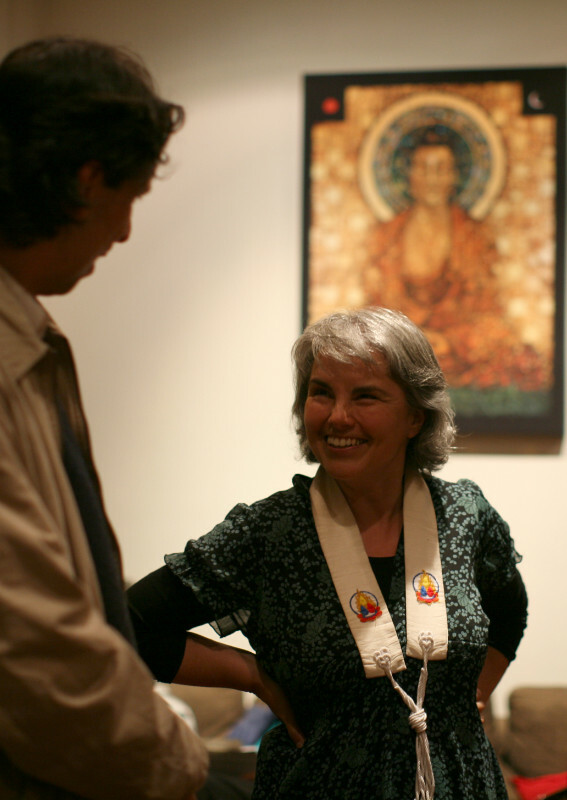 You can also read more about the Triratna Buddhist Community, the international Buddhist community of which the Dublin Buddhist Centre is part. You can also read more about Buddhist festivals celebrated throughout the world. Further information for students and children is available on these pages and also from the excellent and award-winning Clear Vision Trust. Other great sources of information are thebuddhistcentre.com, Free Buddhist Audio and VideoSangha. It was first given to a man who was born as Siddhartha Gautama in Nepal 2,500 years ago. Scholars now place the date of his birth around 480BCE (BC). He did not claim to be a God and he has never been regarded as such by Buddhists. He was a human being who became Enlightened, understanding life in the deepest way possible. Siddhartha was born into the royal family of a small kingdom on the Indian-Nepalese border. According to the traditional story he had a cloistered upbringing, but was jolted out of complacency on understanding that life includes the harsh facts of old age, sickness, and death. He left home to follow the traditional Indian path of the wandering holy man, a seeker after Truth. He practised meditation under various teachers and then took to asceticism. Eventually he practised austerities so severe that he was on the point of death – but true understanding seemed as far away as ever. He decided to abandon this path and to look into his own heart and mind. He sat down beneath the pipal tree and vowed that ‘flesh may wither, blood may dry up, but I shall not rise from this spot until Enlightenment has been won.’ After forty days, the Buddha finally attained Enlightenment. Buddhists believe he attained a state of being that goes beyond anything else in the world. If normal experience is based on conditions – upbringing, psychology, opinions, perceptions, and so on – Enlightenment is Unconditioned. It was a state in which the Buddha gained Insight into the deepest workings of life and therefore into the cause of human suffering, the problem that had set him on his spiritual quest in the first place. During the remaining 45 years of his life he traveled through much of northern India, spreading his teaching of the way to Enlightenment. The teaching is known in the East as ‘The Dharma’ – ‘the teaching of the Enlightened One’. Travelling from place to place, the Buddha taught numerous disciples, many of whom gained Enlightenment in their own right. They, in turn, taught others and in this way an unbroken chain of teaching has continued, right down to the present day. What happened after the Buddha’s Death? Buddhism flourished in India from the time of the Buddha, becoming the largest religion in India in the time after the Buddha’s death. It eventually declined in India, and died out there a thousand years ago, although it has recently been revived there since the 1950s. In the hundreds of years after the Buddha, Buddhism spread to countries all around India, including Sri Lanka and South East Asia, where the Theravadin form of Buddhism, the oldest existing school of Buddhism, continues to be practiced. Around 500 years or so after the Buddha, Buddhist schools had developed which came to be known as Mahayana (or ‘Great Way’) schools. These forms of Buddhism spread to and are still practiced in many eastern countries, especially Japan, Vietnam and China. Zen would be the most well known Mahayana school. Vajrayana Buddhism was a later development in Buddhism (developing roughly 1,000 years or so after the Buddha). It is the main form of Buddhism in Tibet and Mongolia today, and is also present other eastern countries including Japan, Vietnam, China and Indonesia. All three of these collections of schools are still being practiced in the east, although in the last century they have suffered greatly in recent times from the effects of communism and consumerism. In the last century Buddhism has emphatically arrived in the west, and hundreds of thousands of westerners have become Buddhists. Many westerners are now engaged in the task of translating Buddhism into forms and expressions that are applicable to life in the modern west. 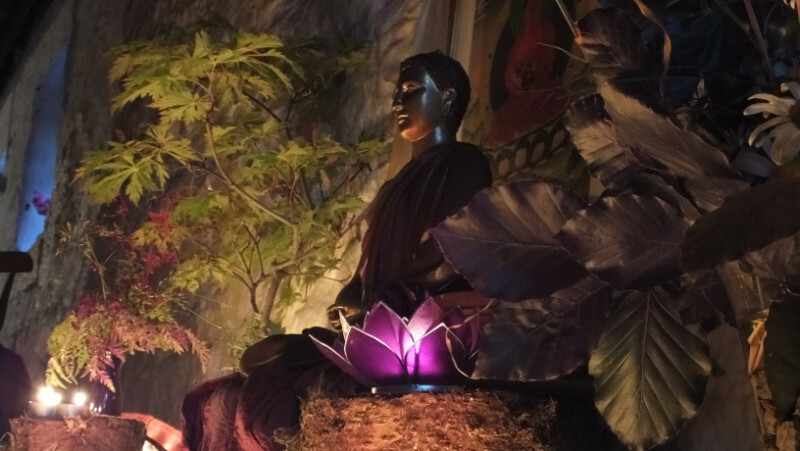 The Dublin Buddhist Centre is part of the Triratna Buddhist Community (Triratna means ‘Three Jewels’). We are a worldwide movement of women and men living by the Buddha’s teachings in the conditions of the modern world. Neither monastic nor lay, we are simply Buddhists, at varying stages of commitment and understanding. Soon after his Enlightenment the Buddha had a vision in which he saw the human race as a bed of lotus flowers. Some of the lotuses were still mired in the mud, others were just emerging from it, and others again were on the point of blooming. In other words, all people had the ability to unfold their potential and some needed just a little help to do so. So the Buddha decided to teach, and all of the teachings of Buddhism may be seen as attempts to fulfil this vision – to help all people grow towards Enlightenment. 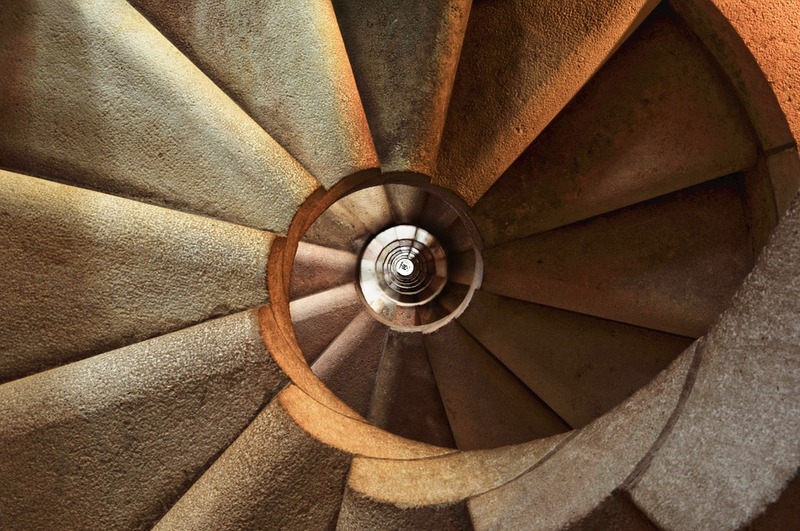 Buddhism sees life as a process of constant change, and its practices aim to take advantage of this fact. It means that one can change for the better. The decisive factor in changing oneself is the mind, and Buddhism has developed many methods for working on the mind. Most importantly, Buddhists practise meditation, which is a way of developing more positive states of mind that are characterised by calm, concentration, awareness, and emotions such as friendliness. Using the awareness developed in meditation it is possible to have a fuller understanding of oneself, other people, and of life itself. Buddhists do not seek to ‘evangelise’ or coerce other people to adopt their religion, but they do seek to make its teachings available to whoever is interested, and people are free to take as much or as little as they feel ready for. One of the main formulations of the path of Buddhism is the Threefold Way of ethics, meditation, and wisdom. This is a progressive path, as ethics and a clear conscience provides an indispensable basis for meditation, and meditation is the ground on which wisdom can develop. Wisdom then, in turn, informs our practice of ethics and meditation. To live is to act, and our actions can have either harmful or beneficial consequences for ourselves and others. Buddhist ethics is concerned with the principles and practices that help one to act in ways that help rather than harm. 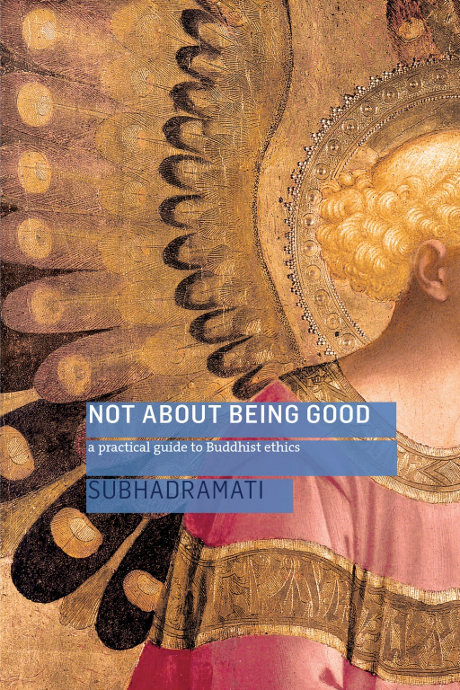 It should be noted that, as there is no god in Buddhism, Buddhist do not think in terms of ‘good’ and ‘evil’. Instead there are actions which are ‘skilful’ and ‘unskilful’. Skillful actions are those that are based upon kindness, empathy, awareness, generosity and contentment, and which lead one to greater states of openness and connection with others. Unskilful actions are those based upon greed, hatred, unawareness and delusion, and which lead one to states of mind that are more fragmented and paranoid, and to being disconnected from oneself and others. The core ethical code is known as the Five Precepts. These are not rules or commandments, but ‘principles of training’, which are undertaken freely and put into practise with intelligence and sensitivity. The Buddhist tradition acknowledges that life is complex and throws up many difficulties, and it does not suggest that there is a single course of action that will be right in all circumstances. Not killing or causing harm to other living beings. This is the fundamental ethical principle for Buddhism, and all the other precepts are elaborations of this. The precept implies acting non-violently wherever possible, and many Buddhists are vegetarian for this reason. The positive counterpart of this precept is love. Not taking the not-given. Stealing is an obvious way in which one can harm others. One can also take advantage of people, exploit them or manipulate them – all these can be seen as ways of taking the not-given. The positive counterpart of this precept is generosity. Avoiding sexual misconduct. This precept has been interpreted in many ways over time, but essentially it means not causing harm to oneself or others in the area of sexual activity. The positive counterpart of this precept is stillness, simplicity and contentment. Avoiding false speech. Speech is the crucial element in our relations with others, and yet language is a slippery medium, and we often deceive ourselves or others without even realising that this is what we are doing. Truthfulness, the positive counterpart of this precept, is therefore essential in an ethical life. But truthfulness is not enough, and this precept also encourages us to make our speech as kindly, helpful and harmonising as possible. Abstaining from drink and drugs that cloud the mind. The positive counterpart of this precept is mindfulness, or awareness. Mindfulness is a fundamental quality to be developed the Buddha’s path, and experience shows that taking intoxicating drink or drugs tends to run directly counter to this. Many Buddhists around the world recite the five precepts every day, and try to put them into practise in their lives. There are many things in life that are beyond our control. However, it is possible to take responsibility for and to change one’s state of mind. According to Buddhism this is the most important thing we can do, and Buddhism teaches that it is the only real antidote to the anxiety, hatred, discontentedness, sleepiness, and confusion that beset the human condition. Meditation is a means of transforming the mind. Buddhist meditation practices are techniques that encourage and develop concentration, clarity, and emotional positivity. By engaging with a particular meditation practise one learns the patterns and habits of the mind, and the practise offers a means to cultivate new, more positive ways of being. With discipline and patience these calm and focused states of mind can deepen into profoundly tranquil and energised states of mind. Such experiences can have a transformative effect and can lead to a new understanding of life. Please see our meditation page for more details. The aim of all Buddhist practices, including meditation, is wisdom. The Buddha taught that the fundamental cause of human difficulties is our existential ignorance – our failure to understand the true nature of reality and wisdom is the opposite of this. 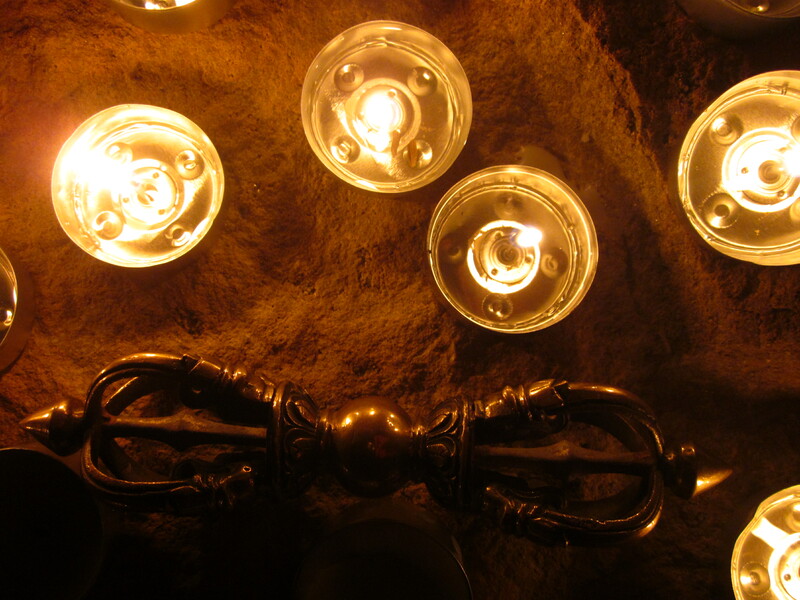 To start with, we simply need to hear the teachings that indicate the Buddhist vision of life. Then we need to reflect on them and make sense of them in relation to our own experience. But wisdom proper means developing our own direct understanding of the truth. It is not enough to know the Buddha’s philosophy, or even to have a good understanding of it. The ultimate aim is to realise the truth for oneself and to be transformed by that realisation. The Buddha taught that life – everything we experience – has three characteristics. He called these the three marks of conditioned existence. All things are impermanent.Everything in the universe, including ourselves and the thoughts that make up our minds, is in a constant process of change. And yet we act as if the world around us is predictable and stable, and we live our lives as if death were not a certainty.Buddhists reflect on the fact of impermanence, and try to live with this understanding. In deeply understanding impermanence, we can sail the winds of life with much more equanimity, and even face into death without fear and turmoil. All worldly things are insubstantial.Wherever we may look in life for something something solid and unchanging, we only find flux. There is no fixed, abiding essence to things, and no eternal soul within human beings.Our minds are more like a mountain stream than a solid thing. They flow, they take their shape from the conditions around themselves, they take on the colour of what’s feeding into them.When we see this, we come to live much more in tune with the flow of life, and see just how our minds are effected by the conditions in the world around, giving us the opportunity to positively change our lives. All life is marked by unsatisfactoriness.What this essentially means is that nothing in the world can bring us lasting and permanent happiness.And even in enjoying something, there is a nub of dissatisfaction there – does it make you completely and fully happy? Will this happiness last?When we see how we look for too much from things in our life, we realise where true satisfaction and happiness is to be found – in acting out of kindness, empathy, generosity and wisdom. A person who is wise in the Buddhist sense will naturally see life in terms of these qualities or marks, and wisdom means setting aside the pleasing illusions that we adopt to make life comfortable, and to live more and more on the basis of these truths. Seeing these three qualities has an utterly transformative effect. In seeing them, we see that everything in life is interconnected: no individual is entirely separate from other individuals, and humanity is not separate from the world it inhabits. From this naturally arises compassion, or universal loving-kindness, which is the counterpart of wisdom. The ideals at the heart of Buddhism are collectively known as the Three Jewels, or the Three Treasures. These are the Buddha, the Dharma, and the Sangha. It is by making these the central principles of one’s life that one becomes a Buddhist. The Buddha refers both to the historical Buddha and to the ideal of Buddhahood which is open to all. He represents the potential there within every one of us. The word ‘Dharma’ has many meanings, but in this context it has two specific uses. Firstly, it means the unmediated truth of how things are, as experienced by the Enlightened mind. It is a direct seeing of this truth for yourself. In the second sense the Dharma is the teaching that was born when the Buddha first put his realisation into words and communicated it to others at Sarnath in Northern India. The occasion is traditionally referred to as ‘the first turning of the wheel of the Dharma’. In this sense, the Dharma includes all those methods, techniques and teaching of the Buddha and other Enlightened teachers down through the ages. Also included in this meaning of the Dharma is the entire corpus of scriptures which are regarded as constituting the Buddhist canon. These include records of the Buddha’s life (known as the Pali Canon), scriptures from a later date, and the written teachings of those people who have attained Enlightenment over the centuries. The whole canon is many hundred times as long as the Bible and it represents a literature of unparalleled riches. It includes works such as The Dhammapada, The Diamond Sutra, and The Tibetan Book of the Dead. The third of the ‘Three Jewels’ is the Sangha or the spiritual community. Buddhism is not an abstract philosophy or creed; it is a way of approaching life and therefore it only has any meaning when it is embodied in people. So Buddhists place great value on the fellowship of others who are treading the same path, and those who embody its goal. In the broadest sense the Sangha means all of the Buddhists in the world and all those of the past and of the future. In practise it particularly refers to other Buddhists with whom one is in effective contact. Buddhism being a path, some people are further advanced along it than others, and particular respect is paid to the lineage of great teachers down the millennia. Beyond this, the ideals of Buddhism find their embodiment in archetypal figures known as Bodhisattvas. For example, Avalokitesvara is the embodiment of Compassion, and he is depicted with four, eight, or a thousand arms with which he seeks to help sentient beings; Manjusri is the embodiment of Wisdom and he is depicted carrying a sword with which he cuts through ignorance. Together the Bodhisattvas and the other Enlightened teachers are known as the Arya Sangha or community of the Noble Ones. This page is also available for download in .pdf format. Buddhism is a path of practice and spiritual development leading to Insight into the true nature of life. Buddhist practices are means of changing oneself in order to develop the qualities of awareness, kindness, and wisdom. Because Buddhism does not include the idea of worshipping a creator God, some people do not see it as a religion in the normal, Western sense. The basic tenets of Buddhist teaching are straightforward and practical: nothing is fixed or permanent; actions have consequences; change is possible. Thus Buddhism addresses itself to all people, irrespective of race, nationality, or gender. It teaches practical methods which enable people to realise and utilise its teachings in order to transform their experience, to be fully responsible for their lives and to develop the qualities of Wisdom and Compassion. 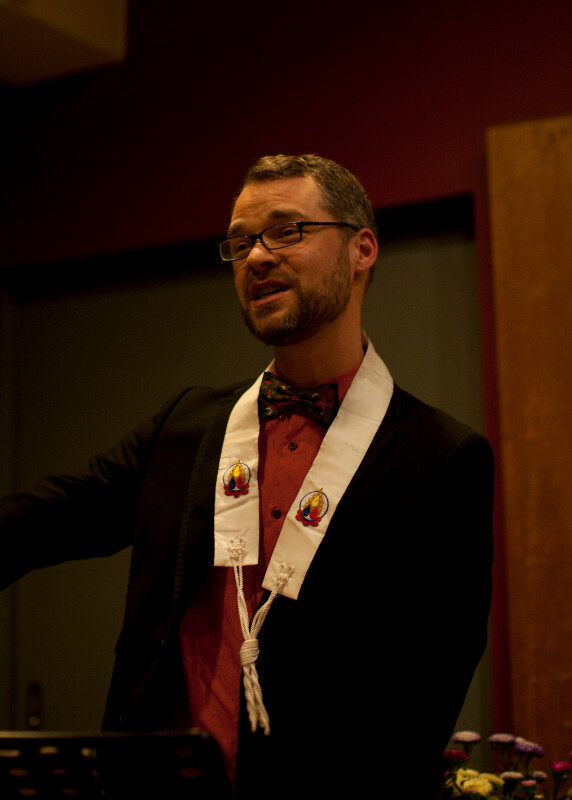 You can view these two videos about Buddhism in our community here in Dublin. The best way to learn more about Buddhism is to come to one of our courses. 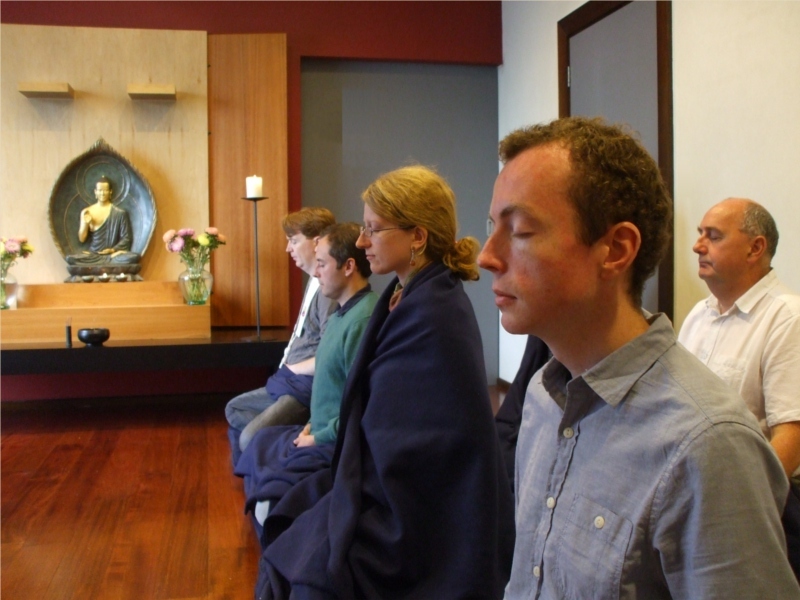 Doing one of our meditation courses is also a great way to learn about Buddhism. 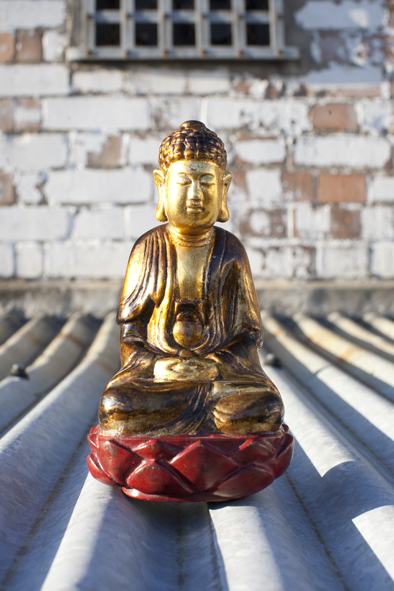 Exploring the core teachings of the Buddha, including meditation. €95 for unwaged, students or OAPs. The best way to learn more about Buddhism is to come to one of our Buddhism or meditation courses.